Get all decked out and ready to dance at the fall’s hottest party, brought to you by the Blanton in partnership with Club Bantu – Austin,TX! On Friday, October 26 we’ll be celebrating the creativity at the heart of our new exhibition Making Africa: A Continent of Contemporary Design. Join us from 6 – 10pm for an evening of the best beats, bites, beverages, and more — all inspired by the bold, creative minds of Africa’s leading artists and innovators. TICKETS: $15 (adults & children)/ FREE for Blanton Members. Tickets are available on the door for purchase starting at 6pm. Print and view our full menu of events HERE. 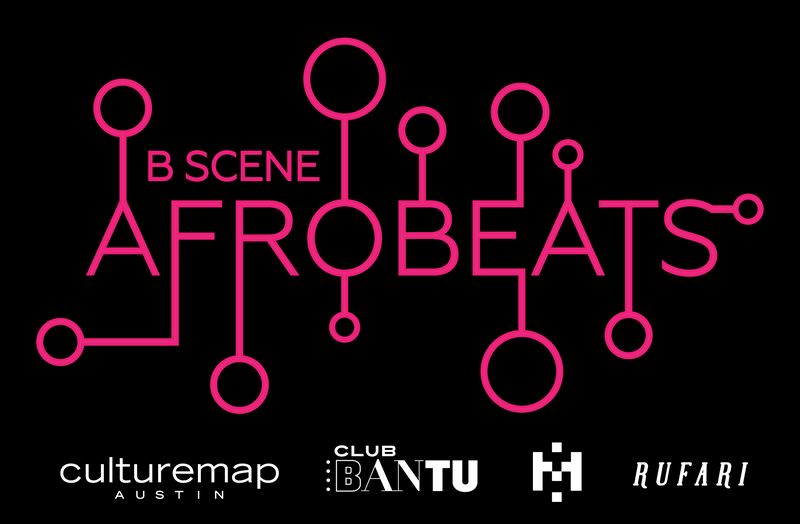 MUSIC: In collaboration with Club Bantu – Austin,TX, you’ll be dancing the night away thanks to this talented selection of artists and performers. TRUNK SHOW: We’ll be showcasing the work of two local designers; Fresh2Life and Toyosi Shusi. You can purchase items from their clothing range on the night and in our Museum Shop throughout the duration of the Making Africa exhibition. ART ACTIVITY: Design your own cut-out sticker and add it to our yellow mini-bus installation (danfo)! FOOD & DRINK: Your favorite bartenders from The North Door will be there to wet your whistle. African street foods that will be available for purchase, provided by Rufari. If you want to skip the line and pre-order your food now, click on the link below to choose your items! MEMBER LOUNGE: Blanton Museum members get free admission and exclusive access to our relaxing member lounge, including a private bar and a complimentary snacks. SPECIAL THANKS: This event would not have been possible without the generous contributions of Moyo Oyelola (Event Design), Rudi Ngnepi (Food), and TaZ Nzara/Club Bantu (Entertainment). About Club Bantu: Club Bantu is a 4,000 years’ narrative of the Bantu people who migrated from West Africa and spread their influence and civilization throughout Africa and the Americas. This is their music! Club Bantu is dedciated to building a comminity of culturally literate people through music and arts enertainment events that engage and promote civic engagement. Club Bantu, a community of people who love to dance! Making Africa: A Continent of Contemporary Design is organized by the Vitra Design Museum and the Guggenheim Museum Bilbao and funded by the German Federal Cultural Foundation and Art Mentor Foundation Lucerne. Generous funding for this exhibition at the Blanton is provided by Suzanne Deal Booth, Jeanne and Michael Klein, and Suzanne McFayden, with additional support from Ellen and David Berman. The Blanton presentation is organized by Claire Howard, Assistant Curator of Modern and Contemporary Art, Blanton Museum of Art. You are more than welcome to pay at the door! We’re not aware of an after party but there might be more info from our partners “Club Bantu” on the night.